Oppose the EDL in Worcester! On Saturday 22nd March the far-right protest group, English Defence League, are planning to hold a ‘national demonstration’ in Worcester. They have randomly chosen the city to be the next host of their vile politics of racism and bigotry, only seeking to further divide communities in a time of brutal austerity measures by the Tories and their economic class. We are calling for as many people as possible to come out and let them know that their politics of hatred and division are not welcome! Keep the date in your diary, check back on this site for details and updates. The blog has been a bit quiet recently, so we thought we would give a brief update on what’s been going on. There is very little activity from the far-right in the Three Counties at the moment, and therefore little activity from us. None of the local EDL divisions seem to be doing anything any more, not even attending national demos. There also appears to be very little from any of the remaining local branches of the BNP, Worcestershire BNP seemingly the only ones who still exist. They stood a candidate in the local elections in May and very occasionally do a publicity stunt or table-top leafleting session, but apart from that it’s been all quiet from them as well! We will continue to monitor the activities of fascist and far-right groups in the region and we welcome any information that people can give. From now on we will only update the blog with local news or to advertise or report on anti-fascist activities and events elsewhere in the country. 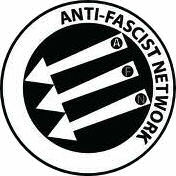 We give our full support to the newly formed Anti-Fascist Network, and we’ll continue to attend call-outs and events when and where possible. For us, militant anti-fascism isn’t a means to an end in itself, and as individuals we also focus our time on other areas of class struggle and revolutionary politics. We are active in community projects, alternative media projects, workers unions and a whole host of other social, environment or animal rights struggles. We believe that as long as capitalism exists, inequality and division will exist. For working class solidarity, social revolution and a fighting anti-fascist movement – 3 Counties Anti-fascists.